If you’ve been reading this blog for any extended period of time, then you need no introduction to Lamour Supreme. 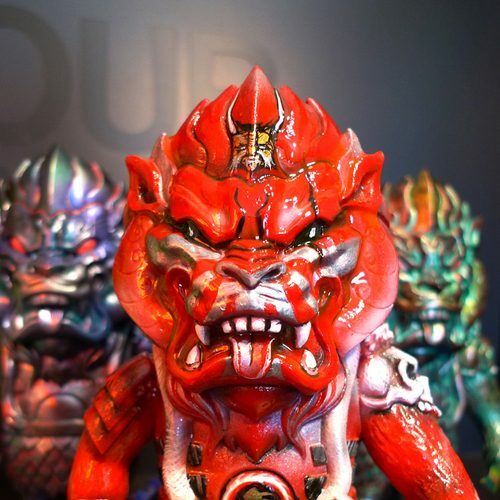 Joel’s one of the most highly sought-after custom toy painters and designers in the circles today and his hand-painted Mongolions are downright nutty. 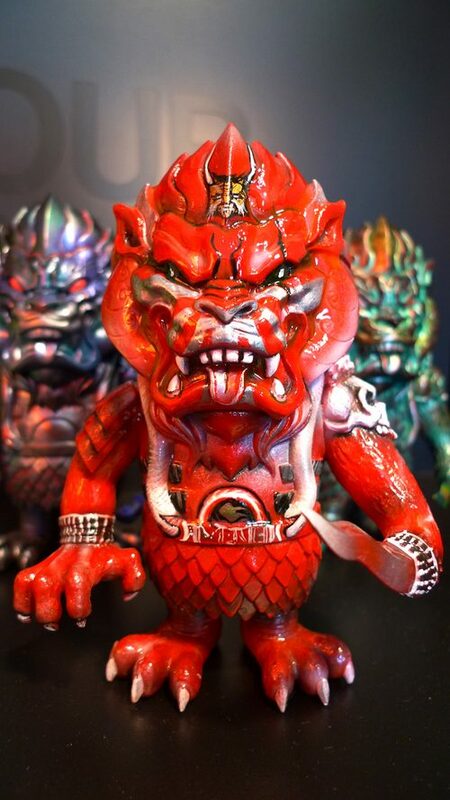 This Hibiki Mongolion was inspired from a character in Kamen Rider. Joel decided to use a red variant for the colorway. If this is confusing to you, don’t worry, I’m right there with ya. Anyway, check out the full photo below. It goes well with the two factory hand-paints that were just released on Saturday (and sold out in minutes!) on Super 7. I was lucky enough to get a purple one tonight from the man himself. I can’t believe that whole production run sold out.